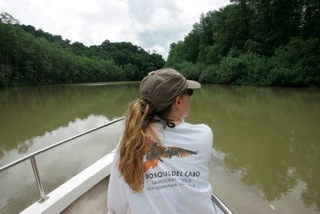 We offer a great boat trip across the Golfo Dulce and up the Rio Esquinas. 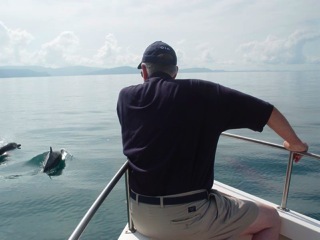 You’ll explore miles of the Golfo Dulce, its lush coastline, deltas and mangrove estuaries. The boat will wind its way up the tranquil Esquinas River, allowing you a great opportunity to see birds and wildlife, as well as gorgeous scenery. This tour, especially good tour for bird lovers, will immerse you in the spectacular beauty of the area. Please note that this tour is tide dependent (high tide is required to go up the river). Also, the option of bringing a bird guide on this tour is available and will add $100 to the overall tour cost. PRICES ARE SUBJECT TO CHANGE WITHOUT NOTICE, PLEASE INQUIRE BY EMAIL OR AT LODGE TO VERIFY PRICES.